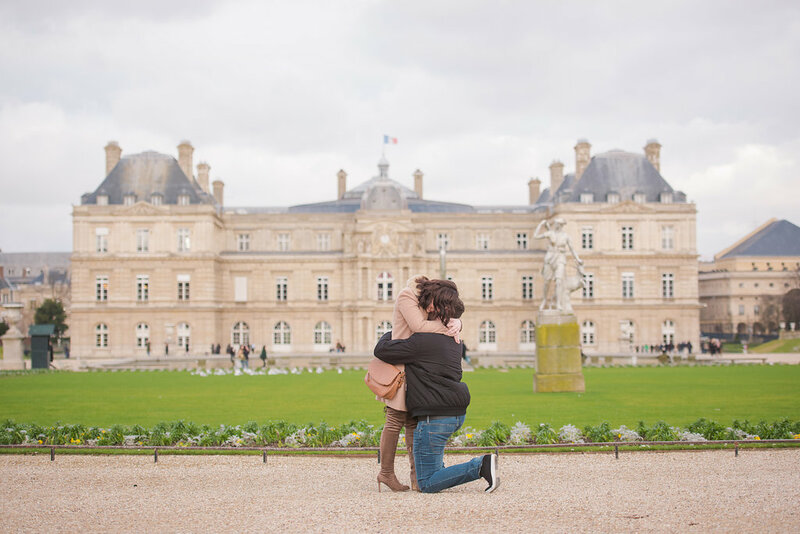 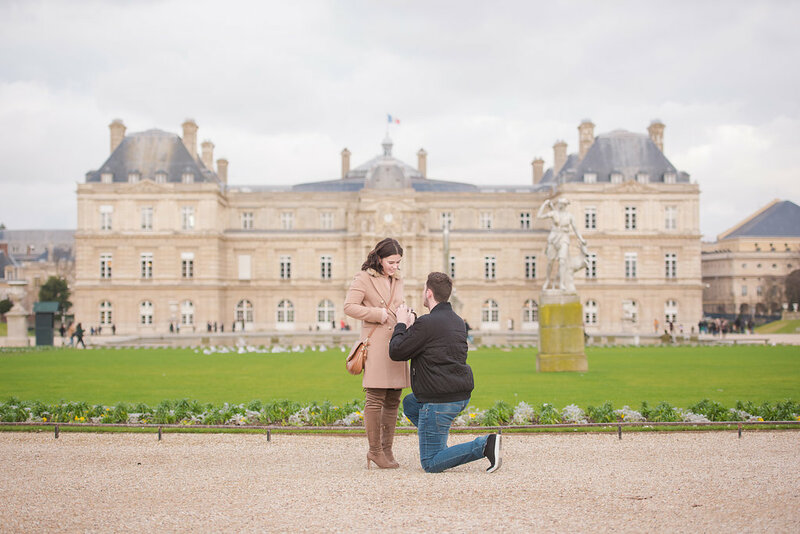 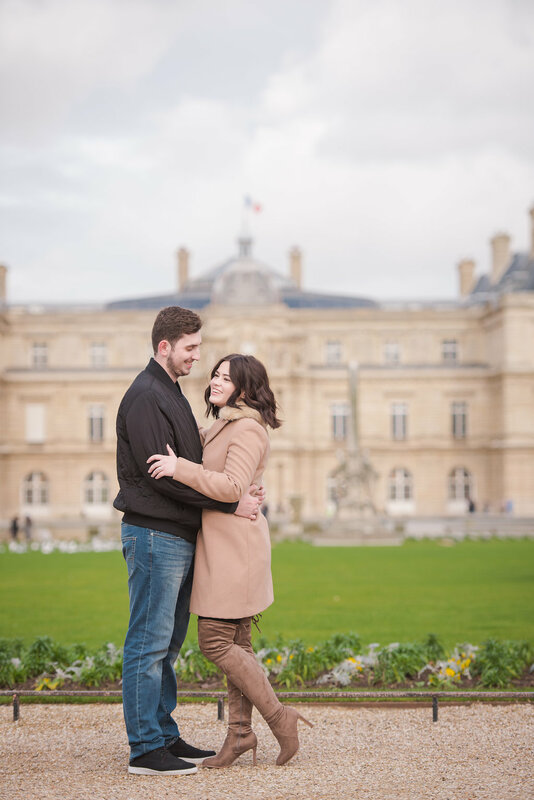 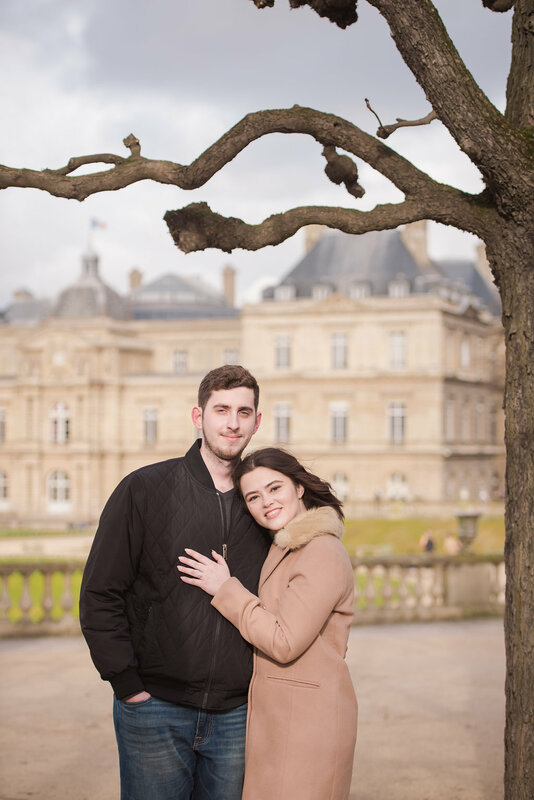 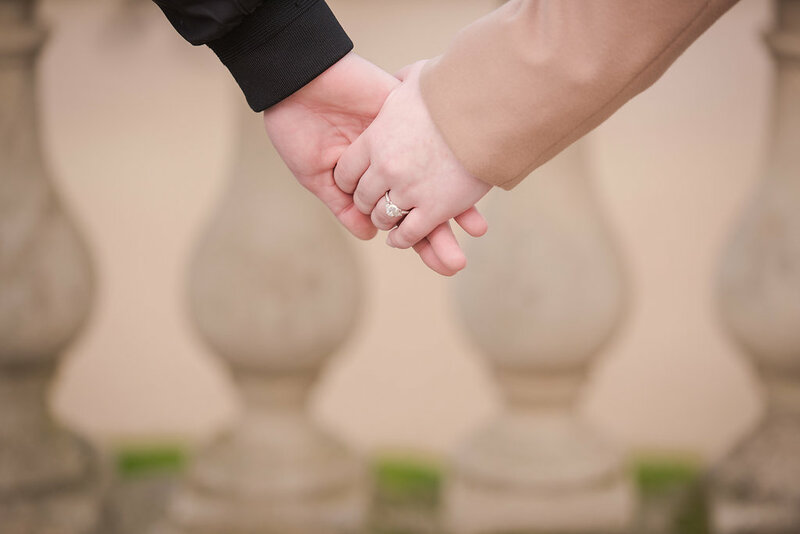 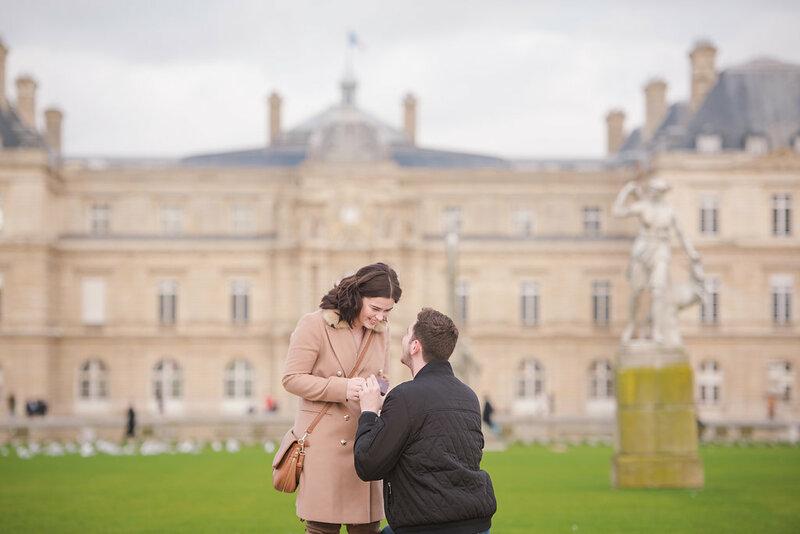 Layla and Ben had such a sweet, picturesque proposal in one of our favorite Parisian gardens – Luxembourg. 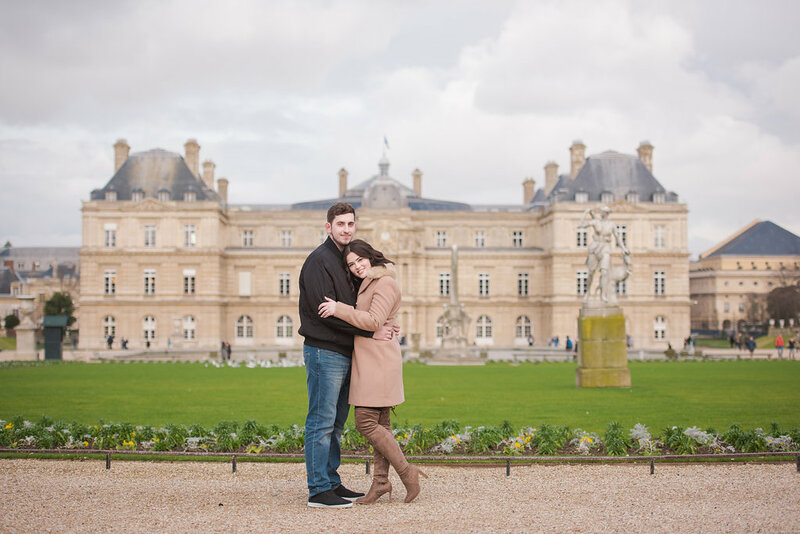 It’s a beautiful spot that has it all : architecture, water, rows of trimmed trees, statues and staircases. 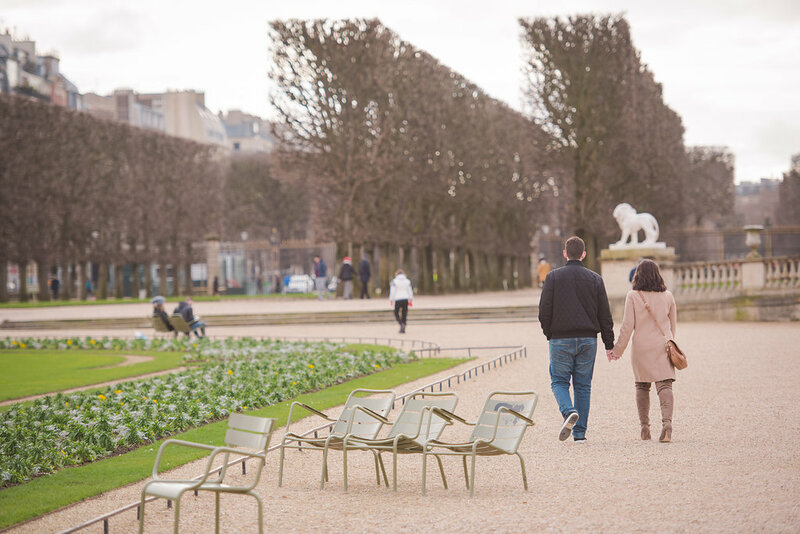 And though the skies were a bit grey, it was a nice day for February in Paris!